This deck focuses on the theme of dragons. However, there's not a legendary dragon that is five colors except for one: Scion of the Ur-Dragon which is a dragon avatar. Meaning, it's both a dragon and an avatar at the same time. My only concern about this creature is that it's still a dragon, which is what I'm going for. This is the first-ever EDH deck I have ever created. However, this deck ended up costing a lot of money to build because I had to purchase the necessary cards to make it work efficiently. It took a lot of money and research time due to buying the necessary cards and finding what cards would ultimately benefit this deck. With the exception of my general, I have put 32 dragons into the deck. The downside is that dragons are pretty expensive to cast. But, the downside is a calculated risk. EDH games are meant to be in a multiplayer format with usually at least 3 to 4 people. Due to the number of people and the politics of such a format, the benefits of the deck outweighs the risk. For the necessary support, I have used nonbasic lands for the mana fixing and artifacts for the mana acceleration. I added a few enchantment cards for offensive capabilities and mana acceleration. Much of the money I ended up spending for this deck went towards the artifacts and nonbasic lands. As a given, I have picked Scion of the Ur-Dragon as my general. The main reason I chose Scion of the Ur-Dragon as my general is because its the only legendary dragon I saw that utilizes all five colors. I picked it solely on the reason that it has five colors; that means I can can use all five colors which is crucial to the theme of dragons. I came up with the idea after playing a couple of cube draft games at a friend's house. There, I saw a couple of dragons. When EDH started to get popular, I went ahead and started doing the necessary research for my first ever deck in that format. To start things off, Scion of the Ur-Dragon costs 1 mana of each color. You need 1 White, 1 Blue, 1 Black, 1 Red, & 1 Green for a total cost of 5 mana. To start things off, it's a 4/4 creature with Flying. Meaning, defending opponents need creatures that can block Flying creatures. But, its main ability is quite useful. Pay 2 Colorless mana, you can activate its main ability. Also, you don't have to tap Scion of the Ur-Dragon for it. When you play this ability, you search your library for a Dragon card. You put that Dragon card into the graveyard. Then, until the end of turn, Scion of the Ur-Dragon becomes a copy of that dragon until the end of turn. It's already a given that this EDH depends on dragons. Without the dragons, there would be no point in building this EDH deck. There are a dragons of many different colors placed in this deck. In short, dragons are incredibly crucial to this deck. I have multicolored dragons, red dragons, white dragons, blue dragons, a black dragon, a green dragon, and an artifact dragon. But, don't worry about the high casting costs of the dragons. This is because of the artifacts and nonbasic lands I put into the deck which help bring the dragons onto the battlefield faster. Karrthus, Tyrant of Jund – 1 Black, 1 Red, 1 Green, & 4 Colorless; This dragon is the embodiment of the Jund-theme from the Alara cycle. This 7/7 legendary dragon has Flying and Haste. As long as Karrthus, Tyrant of Jund is on the battlefield, you have all control of all dragons. Then, you untap all the dragons. As an additional benefit, other dragons you control will have Haste. Malfegor – 2 Red, 2 Black, & 2 Colorless; This 6/6 red & black dragon with Flying can really mess over your opponents when you bring it onto the battlefield. By casting this card, you can deal pain to your opponent's creature defenses. If you had five cards by the time you discarded your hand after casting Malfegor, then your opponents will have to sacrifice five creatures each. That's one creature for each card from your hand that's been discarded. Niv-Mizzet, the Firemind – 2 Red, 2 Blue, & 2 Colorless; This legendary dragon can be tapped to draw a card while dealing 1 point of damage to a target creature or player. You can get a card while pinging an opponent or one of your opponents' creatures. 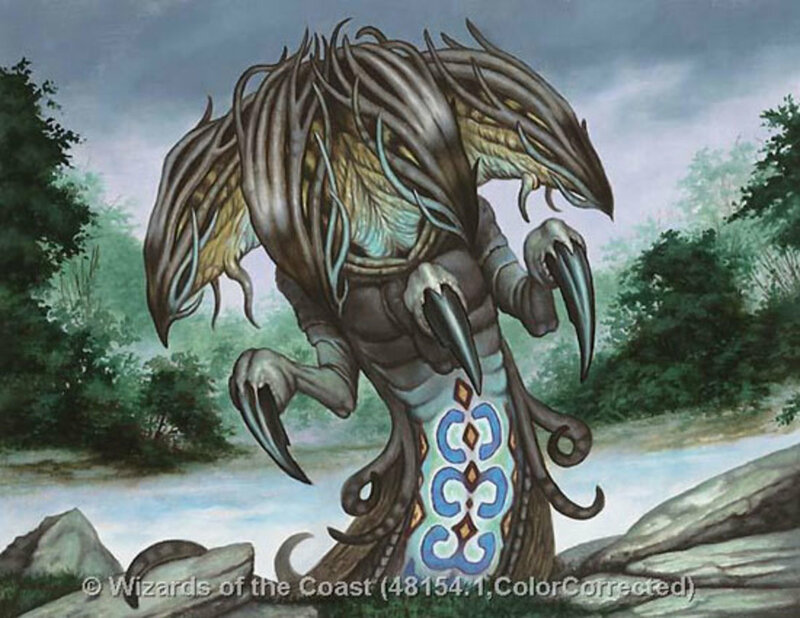 Numot, the Devastator – 1 Red, 1 White, 1 Blue, & 3 Colorless; You can attack with this creature and use its main ability to destroy an opponent's lands. You can disrupt the opponent's mana pool. Vorosh, the Hunter – 1 Green, 1 Blue, 1 Black, & 3 Colorless; You can attack with this creature and use its main ability to pump it up. By using the main ability, Vorosh, the Hunter gets 6 +1/+1 counters. Intet, the Dreamer – 1 Blue, 1 Red, 1 Green, & 3 Colorless; You can attack with this creature and use its main ability to play cards without paying their mana costs. Oros, the Avenger – 1 White, 1 Black, 1 Red, & 3 Colorless; You can attack with this creature and use its main ability to deal 3 points of damage to each non-white creature. Teneb, the Harvester – 1 Black, 1 Green, 1 White & 3 Colorless; You can attack with this creature and use its main ability to bring creatures from a graveyard onto the battlefield under your control. You can revive your creatures or steal creatures from an opponent's graveyard. 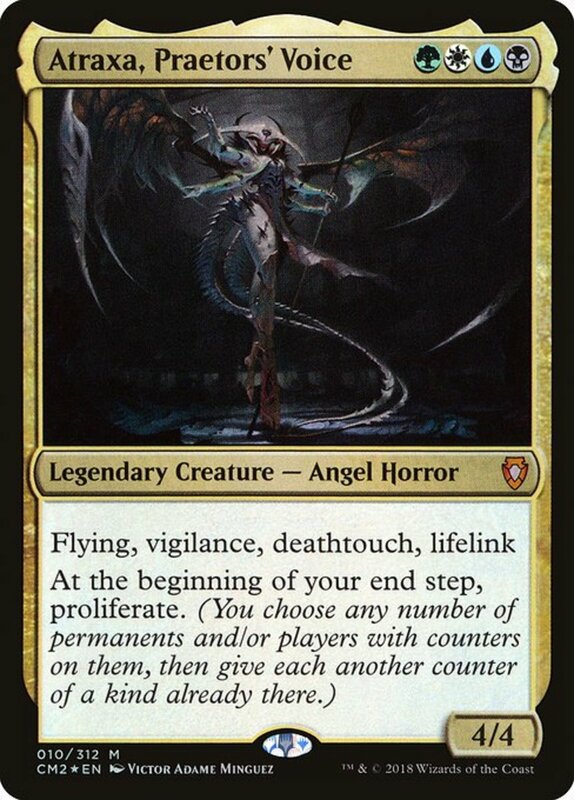 Hellkite Overlord – 1 Black, 2 Red, 1 Green, & 4 Colorless; This is by far a very expensive card to cast. However, with the artifacts and nonbasic lands, you can bring this creature card onto the battlefield ASAP. To start things off, the Hellkite Overlord has Flying, Trample, and Haste to give your opponents something to worry about. It has 2 main abilities. If you have Red mana to spare, you can pump up its attack points until the end of the turn. For 1 Green and 1 Black, you can regenerate it. Spellbound Dragon – 1 Blue, 1 Red, & 3 Colorless; This card is useful when you attack with it. Using the main ability causes you draw and discard a card. It gains +X/+0 until the end of the turn in which X equals the card's converted mana cost. Say that you discarded a card with the mana cost of 7, then the Spellbound Dragon gets +7/+0 until the end of the turn. 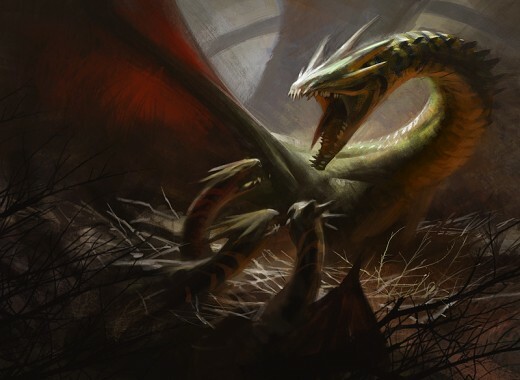 Dragon Broodmother – 2 Red, 2 Green, & 2 Colorless; This card will help spawn an army of 4/4 Green & Red dragons. Those tokens will have Flying and Devour 2. The Devour 2 ability of those tokens become very useful in the game. Ryusei, the Falling Star – 1 Red & 5 Colorless; When this creature gets sent to the graveyard, you will have the last laugh: 5 points of damage to each creature without Flying. Rorix Bladewing – 3 Red & 3 Colorless; It's a 6/5 with Haste and Flying. The moment you bring out this card, you can attack with it immediately. If you have the means to pump up Rorix Bladewing, then you should go for it. Then, you can deal a lot of damage to a target opponent. Mordant Dragon – 3 Red & 3 Colorless; A very useful way of adding insult to injury. You can hurt an opponent and do away with that person's creature defenses. Bogardan Hellkite – 2 Red & 4 Colorless; Its Flash ability and main ability are very useful. Kilnmouth Dragon – 2 Red & 5 Colorless; Its Amplify 3 is very useful and can make things incredibly intimidating. It can directly and indirectly deal damage to a target opponent or one of its creatures. Make sure you have a couple of dragons in your hand before casting Kilnmouth Dragon first. Predator Dragon – 3 Red & 3 Colorless; It's abilities are incredibly useful. Two-Headed Dragon – 2 Red & 4 Colorless; Its two main abilities are quite useful to have at your disposal. If the target opponent only has one creature to defend with, by all means attack with the Two-Headed Dragon. Make sure you pump it up whenever you are able to during your combat phase. Flameblast Dragon – 2 Red & 4 Colorless; Its main ability is quite useful as long as you have plenty of mana to spare. But, be sure to attack with the Flameblast Dragon first. With the artifacts provided, you can take advantage of the dragon's main ability. Yosei, the Morning Star – 2 White & 4 Colorless; Its main ability is useful to slowing down a target opponent. 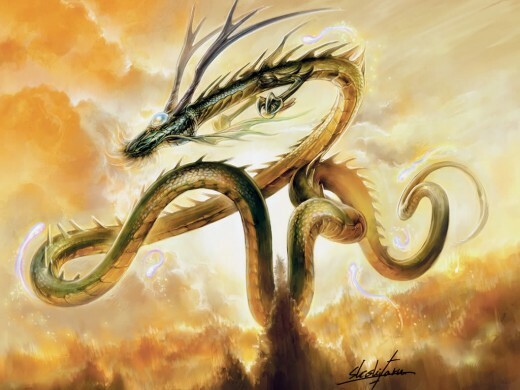 Eternal Dragon – 2 White & 5 Colorless; Its two main abilities are useful. You can use its 2nd main ability for the necessary mana fixing. The 1st ability is useful if you want to keep the Eternal Dragon in play for some time. Pearl Dragon – 2 White & 4 Colorless; It's a good defending dragon. Keiga, the Tide Star – 1 Blue & 5 Colorless; When this creature is sent to the graveyard, you get to take control of a target creature. Quicksilver Dragon – 2 Blue & 4 Colorless; Its main ability is quite useful. Clone – 1 Blue & 3 Colorless; This card is very self-explanatory. Catacomb Dragon – 2 Black & 4 Colorless; A good way to do away with your opponent's creatures if they have Flying or the ability to block Flying creatures. While this is the only black dragon I have in the deck, the Catacomb Dragon will be very a useful card to have in this deck. Jugan, the Rising Star – 3 Green & 3 Colorless; Its main ability, triggered when it gets sent to the graveyard, lets you place 5 +1/+1 counters on any number of target creatures. Tek – 5 Colorless; A pretty useful card. I have placed four enchantment spells into the deck. I have three Red enchantments and one Green enchantment. So far, these cards definitely help out this EDH deck. Rage Reflection – 2 Red & 4 Colorless; This card gives all of your creatures Double Strike. With this card on the battlefield with a couple of dragon cards (all dragons in the deck have pretty useful abilities) will do a lot of damage. Imagine this card combined with cards such as Hellkite Overlord, Spellbound Dragon, Dragon Broodmother, Rorix Bladewing, Bogardan Hellkite, Kilnmouth Dragon, Two-Headed Dragon, Catacomb Dragon, etc. Crucible of Fire – 1 Red & 3 Colorless; This enchantment gives all dragons under your control +3/+3. The sole fact that this is a card that benefits your dragon creatures makes it a very useful card to have in your EDH deck. That card does more than enough for this deck. Fervor – 1 Red & 2 Colorless; This card, when on the battlefield, gives all your creatures the Haste ability. When you bring out creatures, you can immediately attack with them. As long as this enchantment remains on the battlefield, you don't have to wait until the next turn to start wailing on your opponents with your dragons. Mana Reflection – 2 Green & 4 Colorless; This enchantment, when on the battlefield, will double the mana produced when you tap permanents for it. It is very useful card to have for mana acceleration. This card definitely works with the many artifact cards that I have placed in this deck. Artifacts are very crucial to this deck as nearly all of them focus on mana acceleration. I have put a total of 18 artifacts in the deck; 4 out of the 18 artifacts in the deck do not produce mana. The rest of the artifacts deal with mana fixing and mana acceleration. Two of these four non-mana artifacts go a long way toward helping out getting your creatures onto the opponent. Khalni Gem – 4 Colorless; You return two lands back to your hand. When tapped, you get 2 mana of any one color. This is both mana fixing and mana acceleration. It comes in handy when combined with Mana Reflection. Gilded Lotus – 5 Colorless; This artifact, when tapped, presents you with 3 mana of any one color. Like the Khalni Gem, the Gilded Lotus is very good when combined with Mana Reflection. Coalition Relic – 3 Colorless; This artifact is great for mana fixing. Darksteel Ingot – 3 Colorless; This is an artifact that has no business being a common. The Darksteel Ingot is one of the best mana fixing artifacts to have in any deck. Especially when it comes to a five-color EDH deck. Fellwar Stone – 3 Colorless; Mana acceleration. Sol Ring – 1 Colorless; Mana acceleration. Worn Powerstone – 3 Colorless; Mana acceleration. Thran Dynamo – 3 Colorless; Mana acceleration. Grim Monolith – 2 Colorless; Mana acceleration. Urza's Incubator – 3 Colorless; Creature spells of the chosen type cost 2 less Colorless to play. This helps reduce the cost of your dragon creatures. 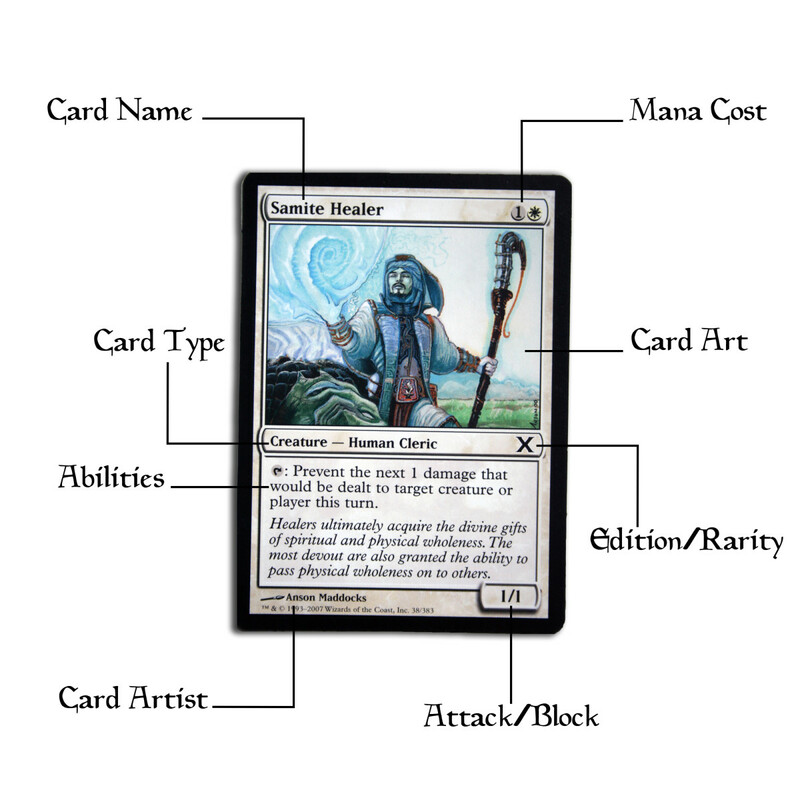 Urza's Filter – 1 Colorless; This reduces the cost of multicolored spells by 2 Colorless. Combined with Urza's Incubator, you can use both cards to quickly bring out your multicolored dragons. Amulet of Vigor – 1 Colorless; Very useful card. Tatsumasa, the Dragon's Fang – 6 Colorless; Very useful card. 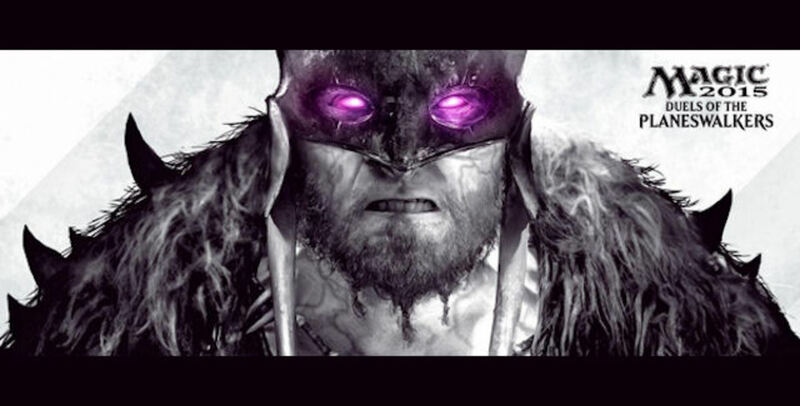 By the time I have created this deck, Planeswalkers have already been created. I have placed two very useful Planeswalkers in this deck. 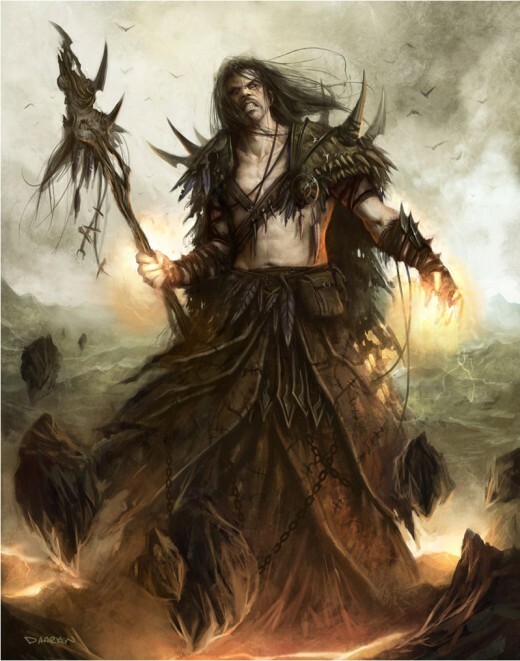 Sarkhan Vol – 1 Green, 1 Red, & 2 Colorless; Its abilities are quite useful for this deck. The ultimate ability is useful as you can bring out five red 4/4 dragon tokens onto the battlefield. Combined with other cards in the deck, those dragon tokens become incredibly useful. Since this is a card friendly to dragons, Sarkhan Vol is an incredibly valuable card to have. Nicol Bolas, Planeswalker – 1 Blue, 2 Black, 1 Red, & 4 Colorless; Its abilities are incredibly useful to have. With this card on the battlefield, this Planeswalker can be rather devastating. It seemed to be a very appropriate Planeswalker to have in this EDH deck. Lands are by far the most crucial for this EDH deck. I spent most of my cash on lands as all them in my EDH deck are nonbasic lands. Due to the fact I have a bunch of dragons, especially multicolored dragons, I need lands that can produce more than one specific color of mana. For the most part, I have seen that these lands were definitely worth the cost. I have a total of 43 lands, all nonbasic, placed in this deck. This deck is a major investment of time and money. You have to spend the money to get the specific cards (namely the lands and artifacts) and the time to tweak and play test the deck. It is a deck for players that enjoy using dragons. With the research, I found the importance of artifacts because they do a good job of accelerating the mana. It took a lot of research time to find out which cards work great together. This is an aggressive deck; but, you have to play both aggressively and intelligently to effectively use this deck. Be sure to shuffle the deck carefully. The crucial part is being able to draw lands and artifacts because you will need to effectively use both of those types for this deck.